Dr. Robert Hoyt Yoe IV joined Birmingham Heart Clinic as an interventional cardiologist in 2015. Born in Birmingham, Alabama, he graduated from Birmingham Southern College in 2004 with a major in biochemistry. 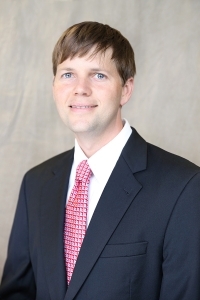 He earned his medical degree from the University of Alabama School of Medicine, where he also completed his internship and residency in internal medicine. He completed both his general cardiology and interventional cardiology fellowships at the Medical University of South Carolina. While in South Carolina, Dr. Yoe received the Outstanding Fellow of the Year Award as a first-year fellow and also won the Ralph Johnson Cardiology Fellow of the Year Award as a third-year cardiology fellow. He also served on the medical executive committee at the Medical University of South Carolina. Dr. Yoe is board-certified in internal medicine and cardiovascular disease. His cardiac interests include coronary interventions, peripheral vascular disease, and structural cardiology interventions including transcatheter aortic valve replacement, also known as TAVR. Dr. Yoe and his wife, Calee, have two children. In his free time, Dr. Yoe enjoys traveling the world, exercising, and reading. He is also actively involved in Christ-based medical mission groups that serve third-world countries, and he is passionate about his work with FITS Sock Company, which was started by his father and brother-in-law.